The Marcus Barlow Palmer House is a two-storey Second Empire house located on Water Street near Palmer’s Pond in Dorchester. It is one of three remaining houses built by the Palmer brothers, widely renowned 19th-century shipbuilders. His brothers Hiram Weldon and Philip Jeremiah also had residences on Water Street. The Marcus Barlow Palmer House was designated for its association with the Palmer family, for its association with some of Dorchester’s first Acadian settlers and for its architecture. The Marcus Barlow Palmer House is recognized for its association with the Palmer family. 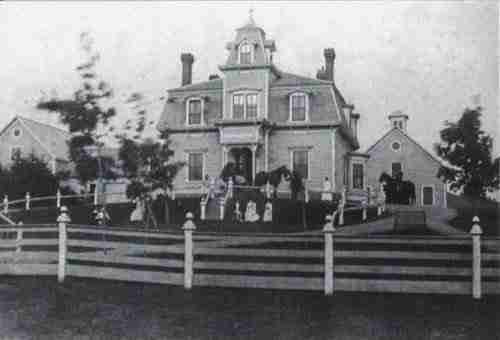 Marcus Barlow Palmer built this residence circa 1871. Grandson of United Empire Loyalist Lieutenant Gideon Palmer (1735-1824), Marcus Barlow was a descendant of generations of militiamen, grist and sawmill operators, farmers and magistrates. 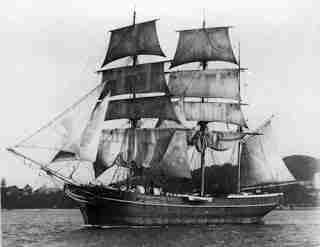 However, the Palmer family was best known as shipbuilders. Two families dominated this industry in Dorchester, the Hickmans and the Palmers. “Annie G.” – Wooden schooner built in Dorchester and registered there in July 1886. The Palmers, Philip, Hiram and Marcus all owned 3 shares each. The members of the Palmer family built their vessels at Palmer’s Pond: Gideon Palmer II (15 vessels), his son Philip Jeremiah (four vessels), his son Hiram Weldon (one vessel), his nephew Acalus (son of Philip, three vessels) and his nephew Stephen (son of Philip, three vessels). The Marcus Barlow Palmer House is also recognized for its association with some of Dorchester’s first Acadian settlers. Within the limits of the present day Village of Dorchester, Pierre Blanchard, Joseph Richard (dit Beaupré) and their families are believed to have been present circa 1742 at a point near the marsh that includes present day Water Street. The Marcus Barlow Palmer House is recognized for its architecture. 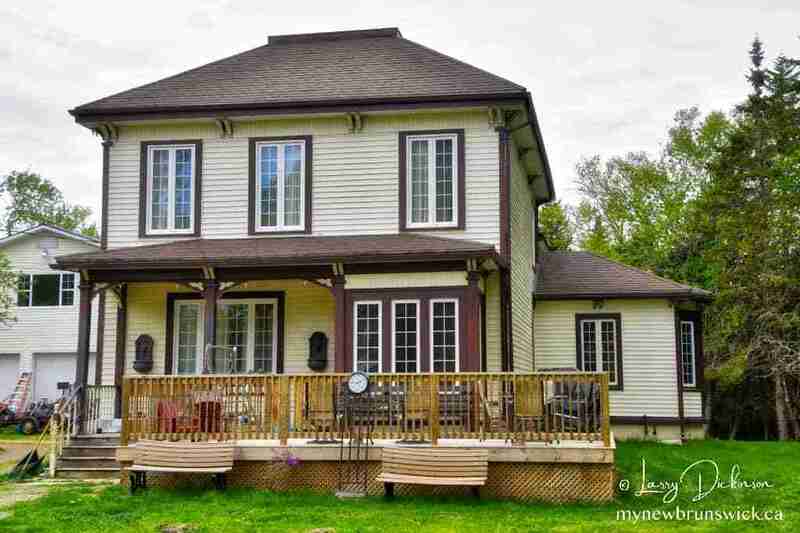 This house is an example of the Second Empire style which was popular during the second half of the 19th century. 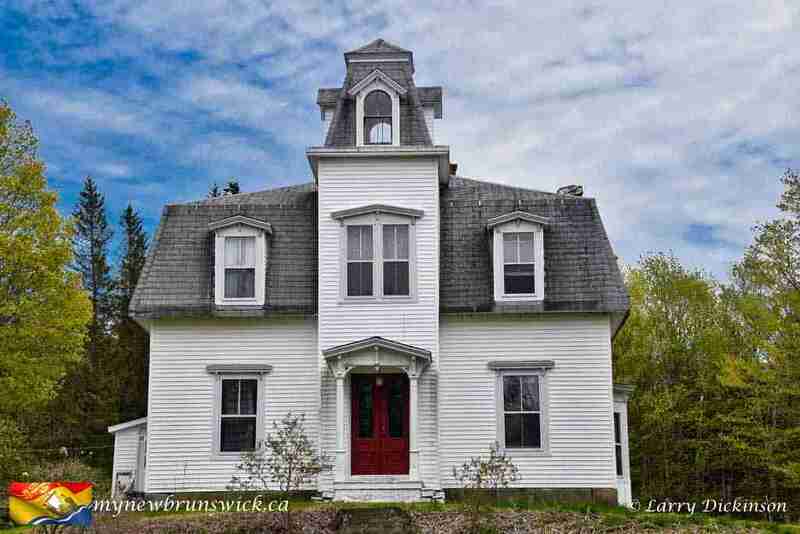 The mansard roof and tower give a distinctive character to this fine house. The house across the street, which belonged to Marcus’s brother Hiram, also had a widow’s walk. The interior retains most of the lavish interior woodwork and plaster work associated with a prosperous late-Victorian family. The interior of the tower had partially-completed mural paintings made by a member of the family of former occupants, Anthony (Ken) Goguen and Mary Hazel (White) Goguen.